With plenty of turbulence in the Clarendon restaurant scene this summer — opening, closings, rumors — it’s worth noting that some long-time establishments are doing just fine, thank you very much. 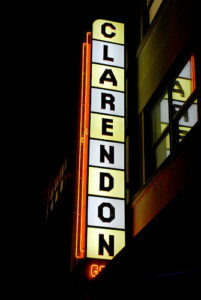 Clarendon Grill, which has been in business since 1996, is still among the local winners. The cover band, trivia night and happy hour destination, at 1101 N. Highland Street, just extended its lease. Owner Peter Pflug says Clarendon Grill is continuing to do well enough that he decided to extend its lease by five years, through March 2022. Pflug, who has been dubbed the “one of the godfathers of Clarendon nightlife,” chalks the recent turmoil up to an “oversupply of restaurants” in the area. He said normal supply-and-demand dynamics aren’t working in Clarendon because once there’s an oversupply of restaurants it’s hard to get back to an equilibrium. Yes, rents are high, but that’s not the most important factor at play. “I don’t think rental rates are nearly as important as oversupply,” Pflug said. Clarendon Grill, which was renovated in 2010, continues to have a full slate of live entertainment on tap, including the aforementioned cover bands, “hilarious” Wednesday trivia nights, karaoke nights and salsa dancing nights. Peter’s Take: Should Arlington Include Ride Sharing in its Transit Plans?